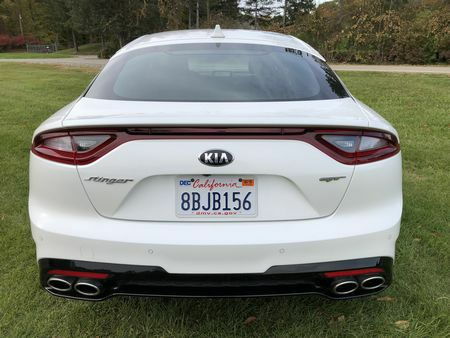 The overall design and concept of the Kia Stinger can be traced back to two vehicles: the Kia GT Concept that made its first appearance at the 2011 Frankfurt Auto Show, along with the GT4 Stinger Concept that made its debut during the 2014 North American International Auto Show. The production version of the Stinger was unveiled at the 2017 North American International Auto Show. 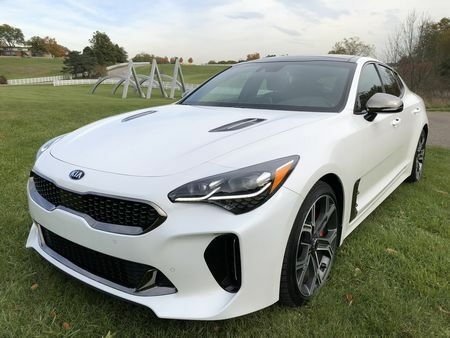 Based on the same platform that underpins the Kia K900 and Genesis G70 and G80 models, the Kia Stinger signals its sporty intentions with a stunning, muscular, and alluring hatchback design that harkens back to the fastback touring cars of the 1970's. 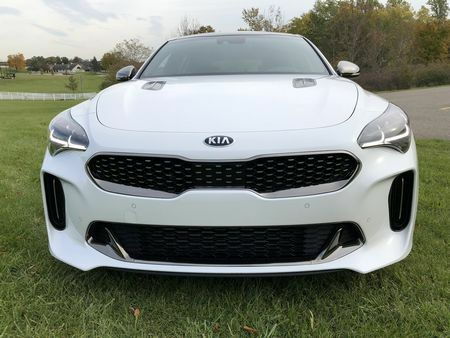 The look begins up front, with a slimmer interpretation of Kia's signature "tiger nose" grill that sits above an aggressive lower air intake. Narrow headlamp enclosures contain bi-function projection headlights on the standard trim, and LED bi-function projection headlights on all other models. 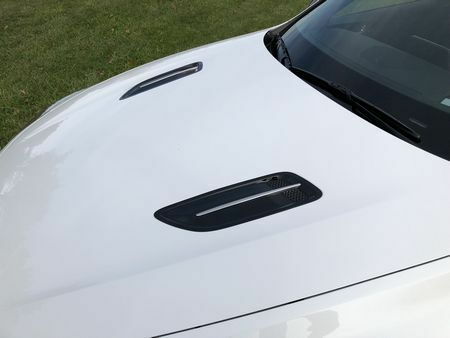 A long, chiseled hood containing exhaust ducts for the engine compartment sits in front of a steeply raked windshield, while the sloping profile of the body sides features chromed gills, short overhangs, a plethora of ducts and spoilers, and athletic rear haunches. 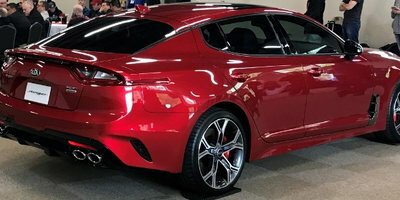 In back, a pair of trapezoidal LED tail lights are joined by a thin LED light band and framed by a ducktail spoiler above, and an aggressive rear diffuser below the bumper. 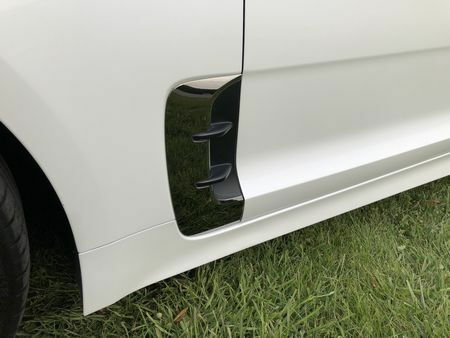 All told, those various aerodynamic bits, along with the aid of wheel air curtains and a belly pan, help the Stinger slip through the air with a 0.30 coefficient of drag. Every bit as striking as the slippery sheetmetal surrounding it, the Stinger's class-above interior (EPA passenger volume of 93.8 cu ft and cargo area of 23.3 cu ft place it at the upper end of the mid-size class) makes liberal use of leather (Nappa on models like our GT2 tester), and soft-touch surfaces. 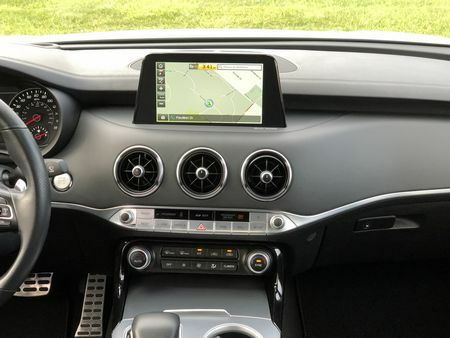 Large gauges are ringed in metal, and the central tablet-sized touchscreen is capable of displaying everything from infotainment to cornering G-forces. 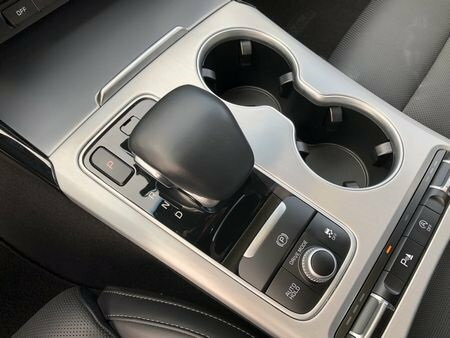 The intuitive dashboard and console controls are large, easy to read, and within easy reach of the driver, while the switchgear is buttery smooth. Fit and finish is outstanding, while the mix of materials and finishes would look at home in a vehicle costing thousands more. 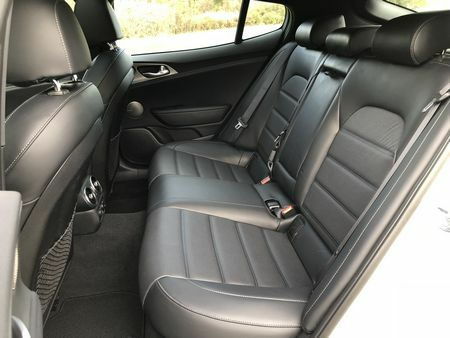 The front seats are comfortable, supportive, and heated. 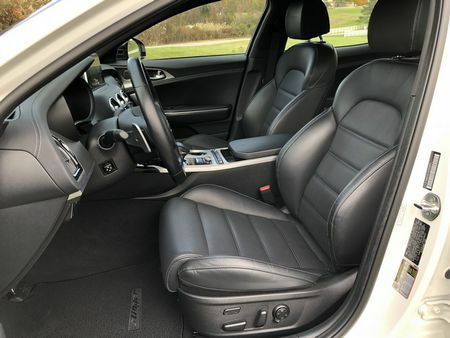 GT2 models up the ante with heated rear seats, front seats that are cooled, and a driver's seat that offers power lumbar adjustment, 2-way width-adjusting side bolsters, and an extendable lower cushion for more thigh support. In back, the seats offer enough room for six-footers to sit behind six-footers. 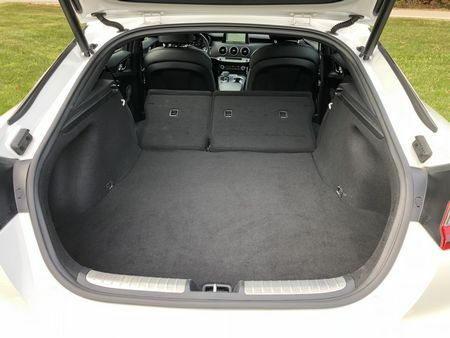 In addition, the hatchback body's versatility features 23.3 cubic feet of cargo space behind the rear seats that expands to 40.9 cubic feet with the rear seats folded - long enough to transport a 52cm road bike without removing the front wheel. Despite the high beltline and cowl, the view out the front and sides is very good, thanks to a large expanse of glass and a relatively narrow A-pillar. A standard rearview camera with dynamic guidelines automatically compensates for the vehicle's steering angle. 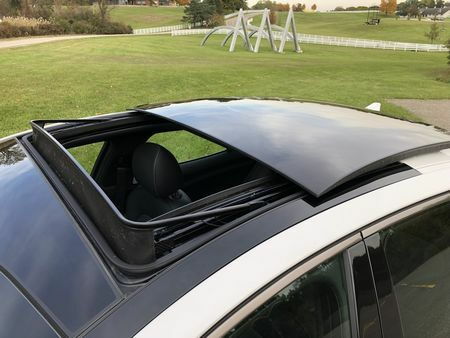 But there are shortcomings, including a smattering of cheap plastic trim pieces and tight rear head room, while rear seat passengers over six feet may have to slouch in order to avoid contact with the roof. And while not always present, driving over rough pavement occasionally elicited a creaking noise coming from the rear hatch area. 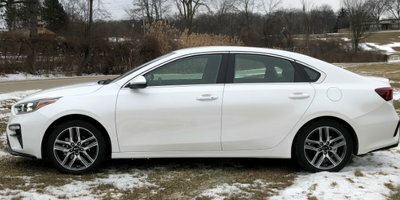 Even in entry-level trim, the typical power features are present, along with 18-inch alloy wheels, automatic headlights with high-beam assist, electric folding outside mirrors, keyless entry with push-button start, auto-dimming rearview mirror, multi-color LED instrument panel and front door accent lighting, dual-zone automatic climate control, leather seats (power driver and front passenger), a leather-wrapped steering wheel and shifter, steering wheel paddle shifters, Bluetooth, Android Auto, Apple CarPlay, a seven-inch touchscreen, and Kia's UVO telematics system. Standard active safety features include a rearview camera and front and rear parking sensors. Blind-spot monitoring, lane change assist, rear cross-traffic alert, forward collision warning, automatic emergency braking, adaptive cruise control, lane keeping assist, and driver attention warning are standard on the GT2 and optional on all other models. Models like our GT2 tester add a sunroof, LED headlights (with dynamic low-beam assist) and taillights, auto-dimming outside mirrors, black chrome outside trim, power trunk, 19-inch alloy wheels wrapped with Michelin Pilot Sport summer tires, a launch control system, dynamic torque vectoring control, Brembo brakes, high-performance dampers, LED interior lighting, rain-sensing wipers, an 8-inch touchscreen with navigation, 15 speaker Harman/Kardon sound system, aluminum pedals and door scuff plates, a head-up display, and a flat-bottom steering wheel. The Stinger offers the choice of two engines, with base and Premium models equipped with a 2.0-liter turbocharged four-cylinder generating 255 horsepower and 260 lb-ft of torque, while GT, GT1, and GT2 trims are equipped with a 3.3-liter twin-turbo V-6 rated at 365 hp and 376 lb-ft of torque. Both engines are paired with an eight-speed automatic. 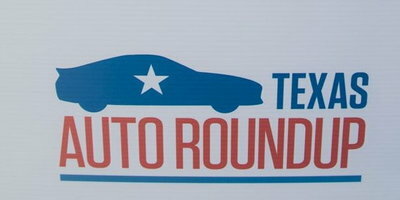 Fuel economy with the turbo-four is an EPA-estimated 22 miles per gallon city, 29 mpg highway, and 25 combined. V-6-equipped models return an EPA-estimated 19 mpg city, 25 highway, and 21 combined. 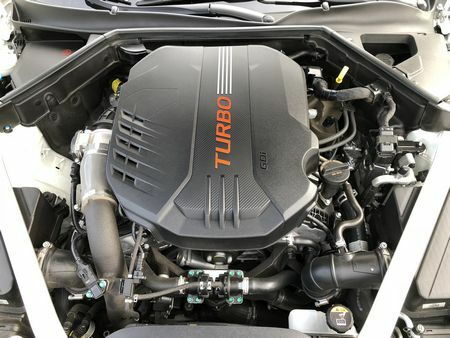 Power from the twin-turbo V6 is amazing, delivering a smooth rush of acceleration, the chassis delivers predictable handling, and the supremely quiet, comfortable ride lends itself to long stretches of relaxed cruising, even in sport mode. The steering is direct and, on the street, the Stinger rotates willing through corners with the brakes providing exceptional stopping power. At freeway speeds, the Stinger feels well planted and is unaffected by crosswinds and pavement irregularities. Interior sound levels are another high point, as very little engine, wind, road or tire noise enters the cabin. 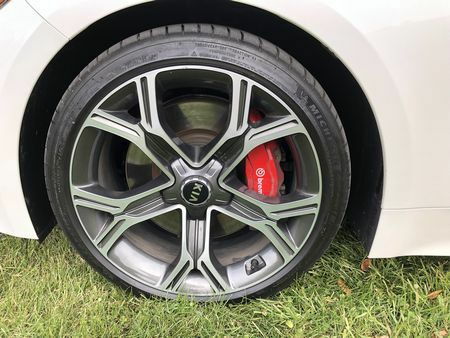 GT models, like our tester, stretch the performance envelope with standard Brembo brakes, adjustable dampers, and staggered 19-inch Michelin Pilot Sport 4 summer tires. 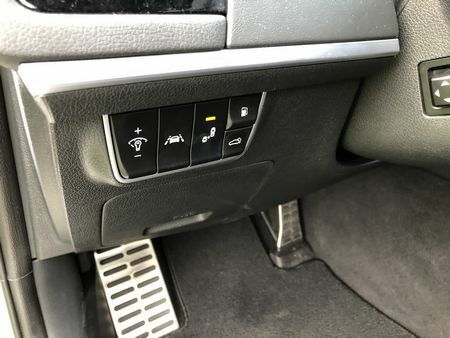 All-wheel drive is available and we'd recommend it for drivers in colder climes - along with the requisite set of winter tires – even though rear-drive models feature a standard mechanical limited slip differential for increased grip and performance. 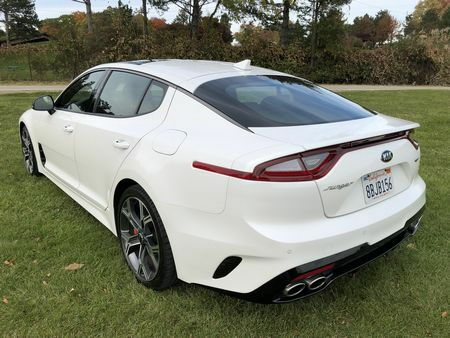 At the same time, the Stinger's grand touring mission doesn't translate well to the track, where even the hot shoe GT is hardly up to the task. There, its weight is a hindrance, the dampers are too soft, while the tires surrender grip so easily that, even in Sport mode, the stability control is often forced to intercede early on. In addition, the Stinger lacks a manual transmission option and, although fine for a base engine, the inline-four's performance falls short of the turbo-fours from BMW, Audi, Mercedes-Benz, and even Chevrolet. Finally, even though the 2.0-liter offers decent fuel economy, the livelier and more captivating GT models fare worse, and both engines require premium fuel. All five trims (Stinger, Premium, GT, GT1, and GT2) are available in rear- and all-wheel-drive configurations. 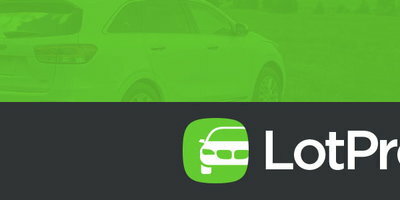 AWD is a $2,200 option on all models. The Drive Wise package of advanced safety features (pre-collision warning, automatic emergency braking, adaptive cruise control, blind spot detection, lane departure warning, lane keep assist, rear cross-traffic alert, driver attention warning, and rain sensing wipers) is a $2,000 option on all trims but the GT2, where it's standard. A limited slip differential is offered as a $200 option on the GT, and standard on the GT1 and GT2 trims. Manufacturer's suggested retail pricing for 2018 models start at $32,800 for a rear-wheel-drive base model, and rises to $52,300 for the all-wheel-drive GT2 trim. A RWD model, our Snow White Pearl GT2 tester had an MSRP, including a $900 delivery charge, of $50,100. 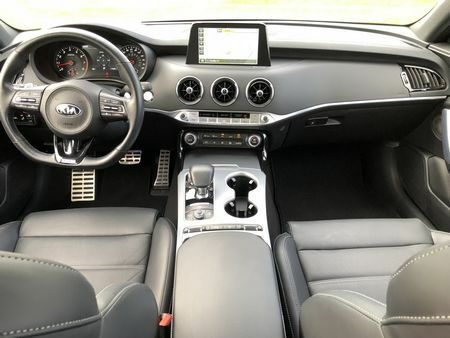 During our week of driving, we found that although the Kia badge currently falls short in the prestige department, and it disappoints with ordinary track manners and no manual transmission option, an undeniable value proposition, along with a sleek design, good on-road handling, and a beautifully-trimmed interior, make the Stinger a top pick in its class.